This year marks the 35th Anniversary of the Janet Heidinger Kafka prize for fiction. 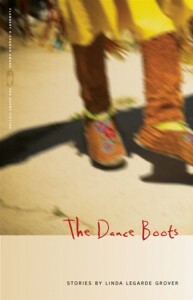 The 2011 prize will be awarded to author Linda LeGarde Grover for her debut story collection The Dance Boots. Grover will visit the University for an award ceremony and reading on Thursday, November 3rd at 5pm in the Welles-Brown room of the Rush Rhees library. A reception and book signing will follow the ceremony. Grover will meet with students earlier in the day for a lunch and discussion session at 12:30pm in Lattimore 540. She will talk with students and answer questions about topics including the writing process, her publications, and her experience. The lunch is casual and students do not need to read the book to attend. This is a great opportunity for students to talk with and learn from an award winning author. Lunch will be provided, with gluten free, vegan, and vegetarian options. If you are a student interested in attending the lunch, please make sure to RSVP to sbai@rochester.edu by Monday, October 31. Grover, Assistant Professor of American Indian Studies at the University of Minnesota-Duluth, is also the co-author of A Childhood in Minnesota: Exploring the Lives of Ojibwe and Immigrant Families, 1880-1920 and the author of the poetry chapbook The Indian at Indian School. Her prize winning collection The Dance Boots is also the co-winner of the 2009 Flannery O’Connor Award for Short Fiction from the University of Georgia Press. 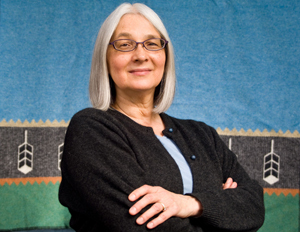 The Susan B. Anthony Institute and the Department of English have awarded the Janet Heidinger Kafka Prize for fiction by an American woman since 1976. To mark the prize’s milestone anniversary, the prize amount has been raised to $7,500. The prize is given annually to a promising but less established American woman writer who has written the best book-length work of prose fiction. Previous recipients include Ann Patchett, Ursula Le Guin, and Toni Morrison, each before achieving fame. We hope to see you all at this memorable event! This entry was posted in Announcements, Community, SBAI Events, UR Events and tagged #KafkaPrize, #LindaLeGardeGrover, #TheDanceBoots. Bookmark the permalink.